Once the first game was installed on a cell phone, it was only a matter of time before gaming applications became a staple feature. Gaming applications for the phone have come a long way since we played Snake on the old Nokia candy bar phones. There have been hits and misses along the way as developers try to offer entertaining and addictive games. Every few weeks, we will be offering a round-up of gaming applications available for Windows Mobile devices, both pro and standard. The round-up will offer a brief review of the game and a recommendation as to whether the game is worth the downloadable trial version, not worth going beyond the trial version or that you should hit the add to cart button and not worry about the trial version. To see the games in this roundup, read on! Bejeweled 2 ($19.95) is the sequel to the outrageously popular Bejeweled. Astraware really struck gold with this HIGHLY addictive puzzle game. The premise of this game is simply; eliminate jewels by swapping adjacent jewels to create a string of three or more like jewels. When you do so, they are removed with a graphical explosion and more jewels trickle down from the top of the screen. You can play against a clock or until you exhaust all your moves. 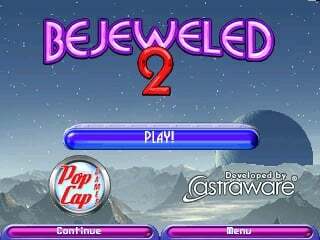 Available for WM Standard and Pro, Bejeweled 2 also includes puzzle games where you try to eliminate all the jewels in the pattern. I cant help but repeat that this is a highly addictive game that once you pick it up; its hard to put down. Recommendation: : I wouldnt worry about the trial version; add it to your cart! 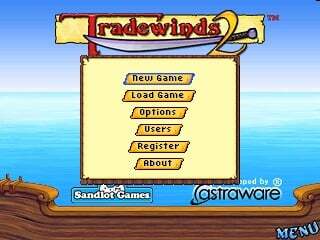 Astraware has released Tradewinds 2 ($19.95), a Caribbean based game where you are a Captain of a trade ship. You sail the Caribbean in search for adventure, treasure and conquering the trade industry. Graphics are o.k. and navigation is fairly straight forward. The game is marginally addictive and enjoyable to play. Concrete Software offers UNO ($19.99) for Windows Mobile Standard and Pro devices that really does the card game justice. Based on the popular card game, UNO pits you against three computer controlled players. For those unfamiliar with UNO it is very similar to the card game Crazy Eights but with a good amount of wildcards that range from reversing the order of players to forcing other players to draw extra cards. One nice feature worth mentioning is that the phone vibrates when its your turn, just in case you get distracted with work. The games graphics are nice but nothing to stop traffic with. It is addictive and while the game will automatically save your progress it can be difficult to put down. 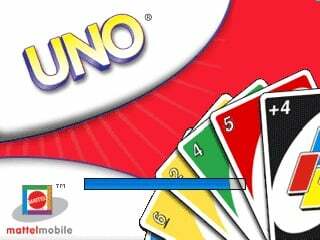 Recommendation: If you like card games, the trial version wont last long and youll find yourself adding UNO to your shopping cart. 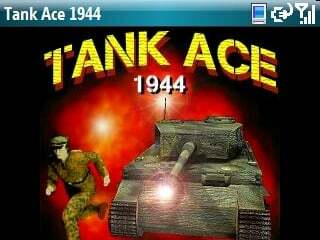 For World War II aficionados will be attracted to Tank Ace 1944 ($19.95) but dont get your hopes up. The premise of Tank Ace is simple, travel around Europe in your tank and battle Axis Forces. Graphics are middle of the road and load times good. What I didnt particularly like was the navigational controls. Blasting enemy tanks had a degree of entertainment but to maneuver the tanks turret, you had to stop. Any tactician will agree that a stationary target is easier to hit than a moving target. So, when you stop to take aim you leave yourself vulnerable. The game has a lot of toe to toe battles between tanks. Recommendation: Its worth the trial download but dont be surprised if it doesnt go past the trial version because of the navigation issues. 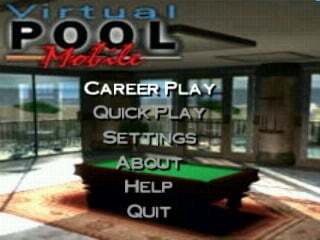 Celeris offers Virtual Pool Mobile ($19.95), a graphically intense billiards game that is sure to please everyone. Offered for Windows Mobile Standard the application does take a little time to load but not to the point where you can take a nap in between games. Game play itself is smooth flowing. Navigation and game play controls are straightforward utilizing both the four-way controller and preset keys on the keypad. You have the option of single game play or career mode with various settings for your table. Its worth repeating that the graphics on this game are very impressive. Recommendation: If you like billiards, the trial version will just be a tease. Hopefully this will be offered for the WM Pro devices so everyone can enjoy this graphically pleasing game. 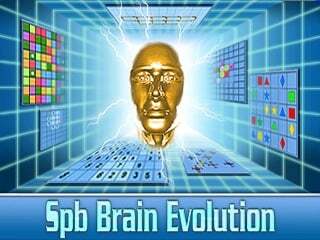 Trivia games are great time consumers and SPB Brain Evolution ($19.95) is a challenging trivia game. Its not so much a trivia game as it is a puzzle/memory/general knowledge application. You run through a series of mathematical problems, memory problems, associative problems, and logic problems to determine how fit your brain is. Dont get worried if after your initial test, its determined that you have a brain of a child. With practice youll improve. After the humbling, initial test you can participate in brain exercises that will help with your memory, arithmetic, logic, and associative skills. After exercising your mental skills, you can then re-evaluate your brains fitness. Recommendation: Download the trial to make sure the format is to your liking. Its a good game, just not for everyone. Also, you can read our full review here!